For the guys that missed them before, this one looks perfect. TRAAK's, njkalashnikov, Thrasher and 1 others like this. Yeah, I had hoped no one would notice it. I started off the bidding on it the other day. We'll see how it goes. ltong29 and Andyman like this. TRAAK's and AZG like this. TRAAK's and evolixsurf like this. Me too. Got shipment notification on 09/12/14. I keep the kit under my desk. I may have been one of the first 10 people to order. Had to join that calguns forum to get the notification. No regerts. My genes are German/Prussian so I had to get it on. AZG and Andyman like this. I’m not sure how I got the info, I imagine from here. I ordered at 1:07pm. And I got my cleaning rod thank you for that! Mine are a mix of Sicilian mainly and German French Irish and a nut hair of Indian is what I’ve been told. I honestly have no idea but wanted to get in on the East German 74 kits too. I have a thing for 74s for some reason. Last edited by AZG; 03-06-2019 at 10:00 AM. MPiKM-72, Krink545, russian_bot_5791 and 2 others like this. Back in 2014 when the first indication of these being available was made known Bachir chose to make the announcement on calguns. It was rather humerous when the EG kits were released and the "non-collector I just want a cheap kit crowd" - nothing wrong with that crowd mind you - that crowd was pining "OMG -pass - those are too expensive!" Anyway, the moment Bachir posted availability on calguns I ordered. In 2014 I bought one for $799 and then went back and bought a hand select for $850. 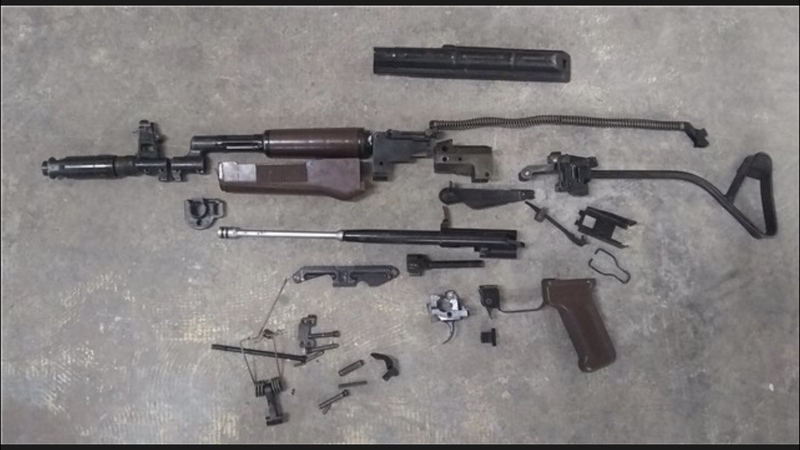 Heck, that is what the AKM kits go for now. I don't ever plan to part with them but if I had to, I guess I did alright. They said only about 200 came in. I think active AKForum members have posted pictures of more than 10% of all that came in. I bought my virgin East German AK74 before the kits were available. I don't remember what I paid, but I do remember it being pretty cheap. I bought a fixed stock version of this kit. Yes, it was expensive. Now that I have my 74ULLC receiver, I need to put it together. Actually, I need to have someone else build it. My virgin barrel drilling skills are not worth the risk. Did all the kits come with rails? I don't remember mine having one. Im still kicking myself for missing the Tula Krink kits, plo kits, yugo paratrooper RPK’s kits, I still want a Galil, aims-74, I’m sure they’re others I’m forgetting but I’m thankful for what I have. It’s funny I don’t really have any friends or know anybody that’s into Kalashnikovs as much as we as a group are. I lucked into one and an east german barrel that I need to have built. 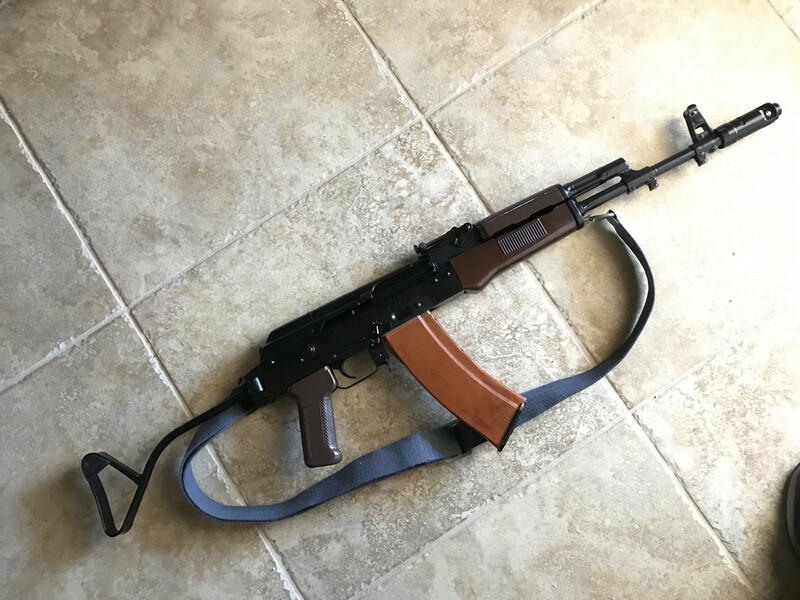 I wasn’t into AKs when these came in, but I’m very happy to have it. They all came with the scope rail. None of this group came with receiver rails. Although my '85 AKM kit from AoA, bought around the same time, did include the receiver rails and center support. The slotted rail was cut in half. I remember back then another member posted pictures of their 74 parts kit with "300" as the last three digits of the serial. I ran to check that one of my kits were still there because I also got a kit with the last 3 digits being "300".